It's Humor Me Wednesday at Catch The Bug! Yesterday was International Hug Your Cat Day, so I am using this cute, cute image called Kids Girl with Toy. I colored with copics and the paper is from Simple Stories. It's a day late but go hug your cat! 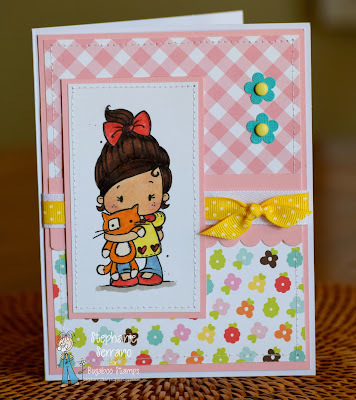 Your sweet mix of papers work so well with this darling image! Thanks for playing with us at the Simon Says Stamp Wednesday challenge!